Ten years. A decade. Well just over. That is how long it has taken for mobiles to become a predominant part of our social and cultural spheres. I remember only getting a phone when I was in Year 11 or 16 years of age, tell that to a 16 year old and they would probably look at you as if you are weird or living in the dark ages. I remember the days of organising when to be picked up and having to stick to that time, today I am rarely on time. I mean well but somehow I never get anywhere when I am supposed to. Well, unless it is to work or if I am going to a job interview. My friends have learnt to live with my lateness –sorry! Mobile technology has developed and is vastly different to the mobiles of the 80s and 90s. The first phone I had was a Nokia 3315 and I will be honest it is still the most reliable phone I ever had. Sure it didn’t have all the mod cons but it lasted for 4 years until I got a new phone for Christmas and it still works to this very day! I am also very late to the smart phone party, I only upgraded to an iPhone 5 this year and it was only because my trusty Nokia – not the 3315, but the Nokia e72 – stopped charging. You may be reading this and saying I am anti-technology but I am not, I love social media and find myself wasting an increasing amount of time on both Facebook and Instagram. But, let us rewind a little to understand the history of mobile technology Goggin (2013) notes that media is affected by the mobility of people. People do not tend to stay in the same place so media needs to constantly evolve to meet the needs of people who use media. In terms of mobile phones they have evolved from being something that looks like it is coming straight out of a science fiction movie to a hand held device. The first phones were like a brick or a heavy boulder; heavy and impractical. As the technology has progressed phones have become lighter and smaller and much easier to carry around, they have also gotten a whole lot cooler and ‘fancier’. What I mean by fancier is the evolution of the phone from a single use of texting and calls to its use as a transmitter of television and radio via the use of the internet. The mobile telephone today is regarded as essential to social and cultural technology especially for interpersonal communication (Goggin, 2013). Let’s think about that for a moment our phones have become essential to our interpersonal communication but shouldn’t we just communicate with the person in front of us? One of my personal pet hates is people Facebook messaging each other whilst they are sitting opposite one another or simply having the phone on the table poised to respond to texts as they come in. Why bother to spend time with friends or family if they will be on their phones the entire time? Are we all too busy or self-indulged and narcissistic to simply enjoy one another’s company? There is a term for this and its called phubbing, but we shall not get into it, you can read all about it here. Goggin (2013) notes that since 2005 3G mobile phones have been used increasingly as a form of mobile TV. These phones have increasingly been target by producers to be capable of holding images and video to engage a new audience. 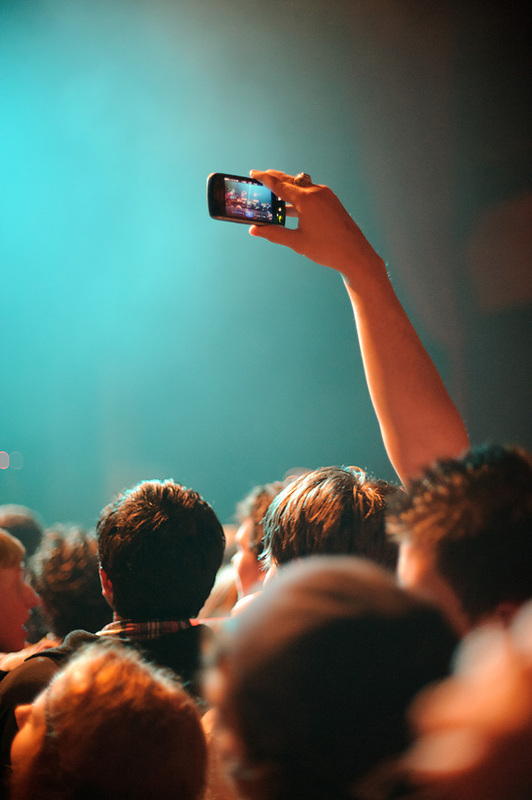 This is the other issue I have with this new wave of technology with a shift to using the phone to capture ‘moments’ at a concert or festival. Do people actually believe the video they are recording will be quality post event? The IPhone or Samsung of today is now a whole lot smarter than my first phone and I must say I am intrigued to see where else this technology will be taken. 30 years ago I doubt anyone would have envisaged the IPhone or Samsung Galaxy so it will be interesting to see what the next 30 years will bring. I was born in the mid-80s and to be honest I do not remember much of the 80s so I guess you could call me a 90s kid. I remember the days of Atari and the first Nintendo and Sega, the change from using a Walkman to Discman but mostly I remember making mix tapes. I recall sitting and waiting for hours for my favourite songs to play so I could tape them. When these tapes were full I would play them on my Walkman for hours on end. These are very happy memories of my childhood. 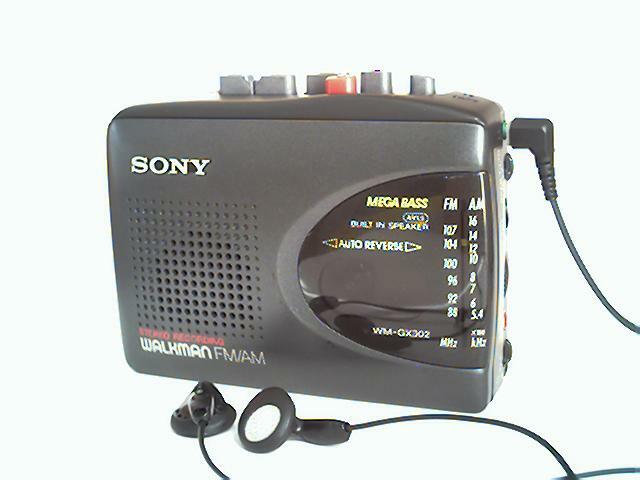 How many of you can remember owning a Walkman and creating a mix tape? The new generation of kids would probably laugh at the technology with the advent of iPods and other Mp3 devices. Rather than making mix tapes, kids growing up today are creating remixes of their favourite bands and posting them to YouTube. This all seems a little foreign to me albeit very cool. However, some would say this is illegal unless your name is Lawrence Lessig – a foremost authority on copyright law – who believes that we need to move from a read-only culture to a read-write culture. In Lessig’s Ted Talks presentation: Laws that choke creativity, Lessig notes the read-write culture which allows an individual to create remixes of content already created with the hope of creating new meaning. Lessig states that this isn’t piracy because the individual isn’t distributing content en masse rather gathering information and content readily available to make something new. One example that may not be as obvious is the collaboration between Jay Z and Linkin Park. The album Collision Course was a success spurred on by MTV it shot up the Billboard charts and allowed both of its artists to see success on their individual albums. The idea behind the project was simple and well known on MTV with the concept of MTV mashups but the choice of having a hip hop artist with a ‘nu-metal’ – a genre of music that features much of the music associated with metal but also is influenced by rap and rock music – band was something that consumers may not have thought would work. Here is a playlist of Collision Course, enjoy! Creative Commons is a licensing law with the main objective being to give creators a web-based tool that allows them to write such licenses without paying a lawyer; essentially it is using technology to protect the public domain. By creating a Creative Commons license a user can tailor the license to meet their specific needs; this is especially evident with music labels sharing their content online (The Economist, 2002). To put it simply the difference between Copyright law and a Creative Commons licence is that with Copyright law it is very black and white with a right and wrong in terms of what you can and cannot do. However, with a Creative Commons license there are shades of grey with great autonomy given to the artist as to how they wish their material to be used and the extent to which it is used. Where the Creative Commons License hasn’t been extended is to both Apple and Amazon who are increasingly becoming more controlling of their platforms. The proof is in the fine print in other words the terms and conditions which implicitly state that you have bought a license to the content but not the actual content. Distributing or transferring this onto a family member or friend once a person is deceased isn’t possible. Perhaps, this is food for thought next time we purchase items from iTunes. Amazon is fairly similar in its Kindles with the individual owning the right to the license of the book but not the actual book. On July 17, 2009 Amazon removed George Orwell’s 1984 and Animal Farm from its Kindle. The company stated that publishers had changed their minds about offering these books online. The question for consumers was who really owns this content? I mean when we purchase something we assume we own that item, in the case of the digital world this isn’t actually true, we own the licence to the item but not the actual item. This revelation about the Kindle has definitely justified part of the reason why as an avid reader I refuse to invest in a Kindle. I simply love the feel and smell of new books and the fact I can pick up a book at any time. Knowing that if I were to buy a Kindle, Amazon can revoke my licence at any time simple does not endear me to owning that item. The difference between our online and offline selves is our levels of honesty take away our anonymity and we are all too scared to speak the truth. If we dislike something why in the world would we publicly announce it and allow our opinions to potentially be admonished by a clever retort or even an expert. Which brings me to my childhood and the words we would say to other kids who were annoying us “Sticks and stones may break my bones, but words will never hurt me”. Somehow, even as a kid I knew these words were untrue, words did hurt and I guess now they are just easier to spread with the use of social media. Greg Jericho a political blogger and author of ‘The Rise of the Fifth Estate: Social Media and blogging in Australian Politics’ laments on the cretinous nature of online comments (Jericho, 2012). In effect everything we didn’t have the courage to say publicly is somehow easy online. As a society have we become really mean? We seem to comment on a whole raft of issues with no real thought as to the consequences of our words. Let’s take the example of Gordon Ramsay’s Kitchen Nightmares: USA, for those that don’t know; the show is basically about Gordon Ramsay helping restaurants struggling to keep afloat. Most of the time the show ends positively but, not in the case of Amy’s Baking Company. The Michelin star chef walked off, stating he could not help them. What ensued from this episode was a tirade of negative commentary on both Yelp and Reddit. The company later retracted the vitriolic comments allegedly posted by them on Facebook stating that their account was hacked. In this episode Amy constantly repeats that the negative reviewers are all ‘haters’, Jericho (2012) would note these individuals are ‘trolls’. That is, is individuals who post off topic and inflammatory comments to proliferate a ‘story’. In Amy’s case the comments are the result of initial poor feedback and the show Kitchen Nightmares. This negative feedback from the show must feel like a real life nightmare for the owners of Amy’s Baking Company. Jericho (2012) goes further to suggest that the standard rule of thumb for online comments is 90-9-1: that is, 90 per cent of individuals never leave comments; 9 per cent occasionally leave comments; and 1 per cent often leave comments. Is it fair to say that Amy’s Baking Company is ‘unlucky’ enough to have hosted the 1 per cent of reviewers that often leave comments and that of this 1 per cent most have left poor reviews? Perhaps like Amy we can blame the haters on the idea of astroturfing, whereby an individual or group uses social media, blogs and standard media to imply that a grassroots campaign exists (Jericho, 2012). In Amy’s case perhaps this reviewer was trying to infer that Amy’s Baking Company was a terrible restaurant and that somehow he or she was to blame for the negative press attributed to Ramsay walking out of the restaurant. By, posting a review was this individual attempting to start a grass-roots campaign to destroy Amy’s Baking Company? In this episode the owners would have you believe that YES they were. You are a bubble of latent excitement, waiting to break free like the sun escaping darkness and bursting across the night sky. You sit waiting, a wry smile creeping across your face, your palms are sweaty, and you do not know what to really think or feel, butterfly’s traipsing their way across your stomach. Do you know this feeling? Recognise it in all its profound beauty? It is a feeling I remember clearly, the first time I left on my own to travel the world, whilst this wasn’t my first overseas holiday, it was my first independent of my parents and family. I remember clearly the excitement and the bubbling over of emotions as I waited for the plane to leave the tarmac. But, you may ask how in the world did I keep in contact? How did I tell the world what I was doing each and every moment? Well, that part was easy with the proliferation of social media. Social media is an institution in 2013; it is in some ways far easier to ask who doesn’t have Facebook than who does. Think about the people in your own life, I am sure you will find very few don’t connect in some way. Social networking sites allow people to create profiles, connect to a group of friends and allow people to traverse through those connections (Boyd and Ellison, 2008). These connections are built on the road, somewhat unknown; full of adventure; you leave with the sense that you will meet a thousand people and create lifelong friendships. In some ways you do meet lots of new people but very few of these become lifelong friends. However, and in some ways quite obviously, they have now become your new Instagram and Facebook friends. Boyd and Ellison (2008) state that networking emphasizes relationship initiation between strangers but whilst at times people connect with strangers this is not commonplace. Look through your friends list, how many people are on there that you met on your travels? They are not exactly friends but this network of people is probably still there, now look again, how many people are you connected to that are complete strangers? A handful, maybe? No, not really, I thought so! Donath and Boyd (2004) suggest that these “public displays of connection serve as important identity signals that help people navigate the networked social world” thus enabling individuals to validate the information they present of themselves online. We all have a personal and public image and representation of ourselves, somehow we find it easier to espouse particular information online, our social networking sites allows us to portray whatever version of ourselves we want, whether completely truthful or not. This image provides a justification of our ‘networking’ habits and in some ways how we present this information ‘publicly’ can impact the information we present in our personal lives offline. It leaves us begging one question how private are our innermost thoughts? Our photos of that sunset, do corporations have the right to use our images? Well simply, I believe not, but by posting online, how safe is our information? There is a plethora of research to suggest all of the implicit dangers of social network sites; Barnes (2006) notes the “privacy paradox” which occurs when users are not aware of the dangers of the public nature of the internet, most notably in teens. Dwyer, Hiltz and Passerini (2007) go further to suggest that ‘sharing’ of information is dependent on trust, if we trust the site we are more willing to share more information. Is it safe to assume that the incessant posting of images and information of our travels is because we implicitly trust that the information we present will not be exploited? Perhaps, it is something to think about next time we post that picture of ourselves in some glorious setting. Social media has grown from its modest beginnings of sites such as sixdegrees.com, AIM and ICQ buddy lists to the more recent Snapchat and Instagram (Boyd and Ellison, 2008). Ten years ago our travels were not documented in images plastered on our Facebook feed but rather captured in a few choice words on a postcard. Who needs a clichéd image on a postcard when you can take a sneaky ‘selfie’ in front of the Eiffel Tower? The cliché is still there but the illumination of you being there somehow masks the cliché of the tourist. Well at least you think so, and that is all that matters, right? What may seem trivial and banal to some is the most amazing meal or sunset to others, these snapshots of days spent travelling are then posted to sites like Instagram, which allows multi-platform ‘sharing’, thus enabling users to simultaneously post to Facebook, Twitter, Tumblr and the aforementioned all at once. Have we all become just a little bit more narcissistic? Do people really care about that meal we ate in Italy? Well, simply the answer is no, they don’t but, we will post it anyway. 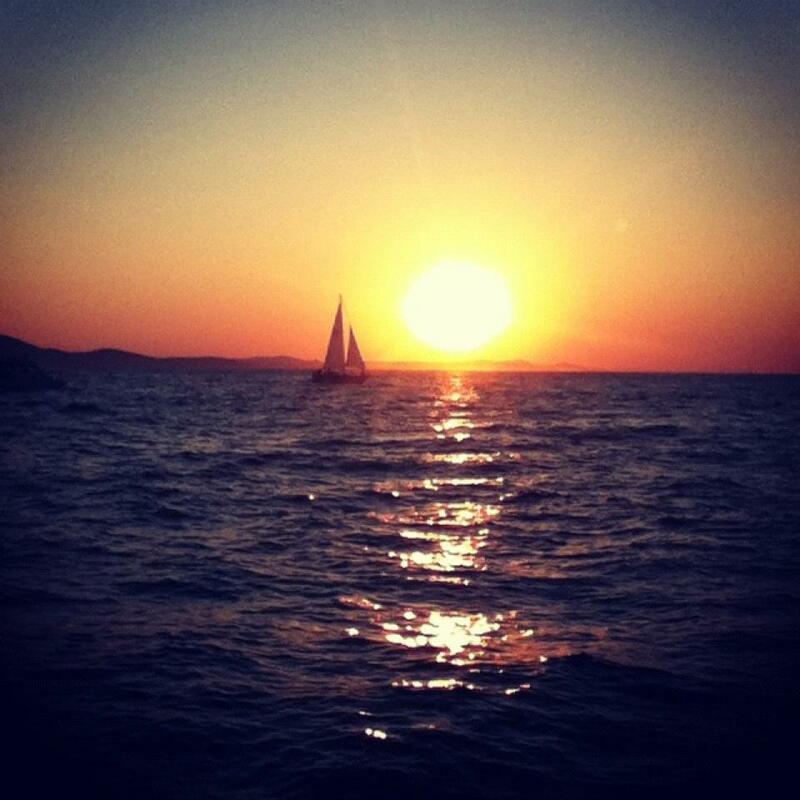 So, let me indulge in my own narcissism for a short while with a beautiful sunset I encountered in Zadar, Croatia, posted initially to my Instagram and Facebook, amazing right? Barnes, S (2006) A privacy paradox: Social networking in the United states. First Monday 11(9) in ‘Social Network Sites: Definition, History, and Scholarship’, Journal of Computer-Mediated Communication, vol. 13, pp. 210–230, International Communication Association. Boyd, D M & Ellison, N B 2007, ‘Social Network Sites: Definition, History, and Scholarship’, Journal of Computer-Mediated Communication, vol. 13, pp. 210–230, International Communication Association. Donath, J & Boyd, d 2004, ‘Public displays of connection’, BT Technology Journal, vol. 22, no.4, pp. 71–82. Dwyer, C, Hiltz, S.R Passerini, K (2007) Trust and privacy concern within social networking sites: A comparison of Facebook and Myspace. Proceedings of AMCIS 2007, Keystone, Co in ‘Social Network Sites: Definition, History, and Scholarship’, Journal of Computer-Mediated Communication, vol. 13, pp. 210–230, International Communication Association.